Published on 1 November 2012. I have an oddly large head, as proven by my inability to wear Christmas cracker hats or round neck t-shirts. 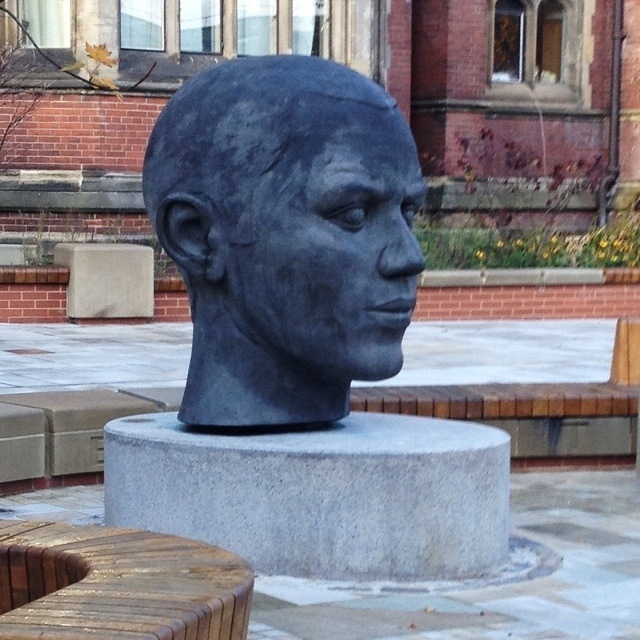 At least it’s not quite as big as this artwork at Newcastle University! This 1,872nd post was filed under: Photo-a-day 2012, Art, Newcastle-upon-Tyne.